If you don’t have a blog, you can still create a SHOP destination for all your recommendations to monetize your Instagram. VENNDY helps you turn your passion and experience into helpful reviews and integrate all your affiliate links into one place. You can help your followers shop by directing them to your VENNDY Insta-Shop through a link in your Instagram bio. It might be helpful if you start by reviewing how to use the LinkCollector and how to build Stories, as well as reading the post How to Monetize Your Instagram Feed. It might be helpful if you start by reviewing how to use the LinkCollector and how to build Stories. 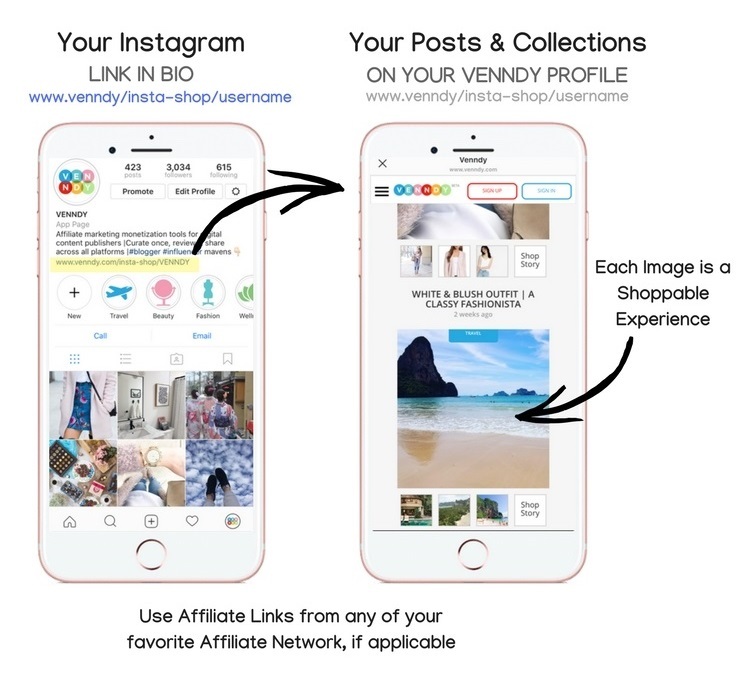 To create a mirroring view for your Instagram feed, follow these 5 easy steps to leverage VENNDY tools on your Instagram to increase your earnings. Step One – Create a Story collection for every Instagram post you want published to your Instagram shop. Once you have a collection of items (clothes, accessories, places, hotels, books, anything…), create a collection into a VENNDY story. Upload the same image you uploaded to Instagram as the Story’s cover and gather into this story all the related items (whenever applicable, the items will already include the affiliate link you inserted). Make sure to create the VENNDY collections in the same chronological order on your Instagram feed. 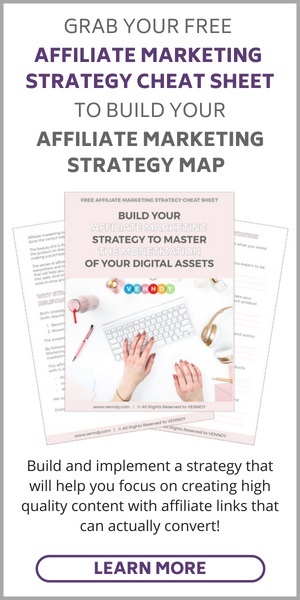 Learn how to curate items to VENNDY here, how to integrate them to stories here, and how to insert affiliate links from any of your affiliate programs here! Step Two – Color the Instagram icon on the upper right side of the VENNDY story’s image. 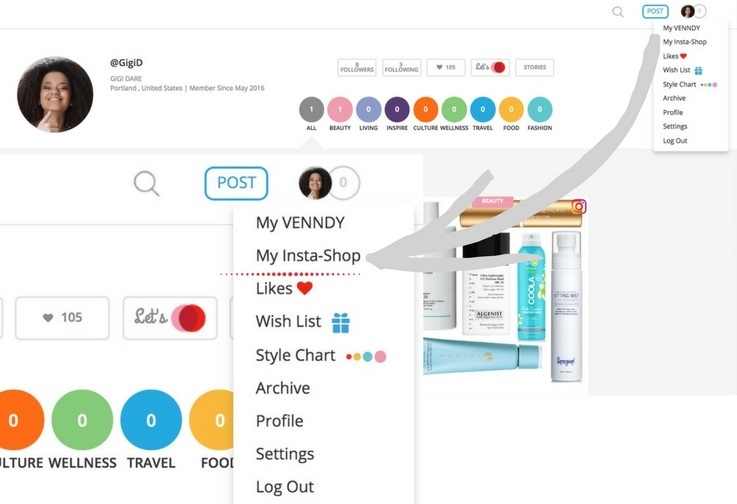 This way your Instagram shop is being created and you can see your Insta-Shop stories from the drop-down menu, next to your profile image on the top right-hand side of VENNDY. Step Three – Embed your Insta-Shop Code into a "Shop my Instagram" page on your blog(currently sent by us via email). Step Four – Link to your Instagram shop in your Instagram bio. Provide the URL for your "Shop Page" in your Instagram bio. This drives all social traffic to your blog or website. Step Five – Educate your followers on how to shop your Instagram. Include "Link in bio to shop my look” in the caption of each post. Use Instagram Stories to tell followers about your Instagram shop. If you have the Swipe Up feature, use it to link to your Instagram shop. 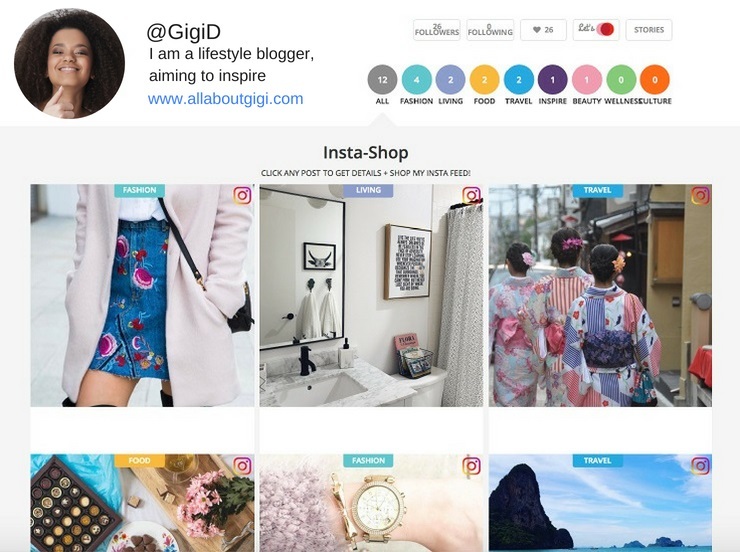 If you have a blog and wish to add an Insta-Shop tab, check out how to do it HERE. Make sure to check out our other Instagram Best Practice Guide to improve your performance on Instagram and on your blog. Are you ready to Get Started? Sign Up to VENNDY HERE.